It’s funny what you think is true as a kid and what is actually true. As a kid, I used to wonder who had the job of turning off the ocean at night. Not the entire ocean, mind you, just the one at Ocean Isle Beach. The one I was at. The one that mattered. I just knew someone had to have the job of turning it off – making those waves go flat and stopping the tide from coming in and going out. Why would they leave it on all night if no one was going to use it? In typically kid fashion, I never thought about who turned it back on in the morning. I just assumed somebody did. No matter what time I hit the beach, the ocean would always be back on. Like clockwork. In my mind, all I could picture was this huge metal lever on the wall with a handle at the top. To shut off the ocean, you pulled the lever down. To turn it back on, you pulled it up. And it would be housed at the pier. I don’t know why I assumed it was at the pier, it just seemed like command central for all things beach-related. You’d expect this kind of thinking as a kid. Some call it kid logic. Ira Glass, host of the popular public radio show This American Life, defines kid logic as “perfectly logical arguments that somehow arrive at perfectly wrong conclusions”. As a kid, you don’t always have all of the information, so you just fill in the blanks with what you perceive as the answer. I always thought old people lived in Virginia. Young people lived in North Carolina. And when you got old, you were allowed to move to Virginia. I knew this to be true because my paternal set of grandparents lived in Southwest Virginia in a city called Roanoke. I also knew this to be true because when we would visit, their friends and relatives would stop by, and they would be old too. I was probably 6 or 7 years old at the time when I had this epiphany. Let’s face it, a large percentage of the population was older than me at this time in my life. It didn’t matter that I had another set of grandparents in Charlotte where I lived. All I knew was that Virginia is for old people. Not lovers. Maybe old lovers. Who knows. Virginia, more specifically Roanoke, was different than anything I knew growing up in Charlotte. So in my recent quest to find the apple like the ones my grandfather would peel and give to us, I just assumed, I could only find it in Virginia. 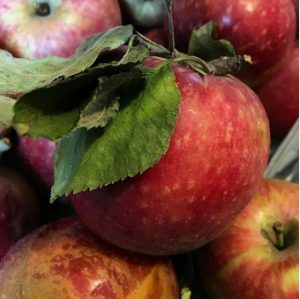 Apparently, not only is Virginia for (old) lovers, but they are also for Stayman-Winesap apples, or Staymans as my grandparents called them. I have never heard of anyone go on a hunt for Stayman apples around here. 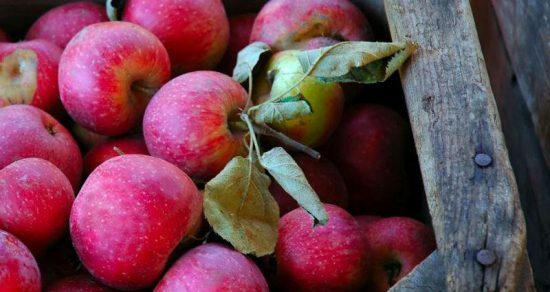 Sure, they go to apple festivals and may even hit up an orchard, but they go because that’s what you do. You buy fresh apples in the fall. Stayman apples are hard to find around here. Or so I thought. In my 42-year-old brain, I had convinced myself that they could only be purchased in Virginia. 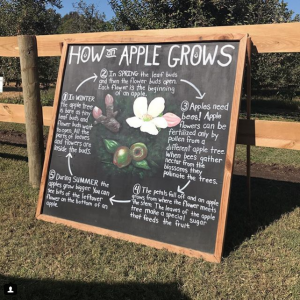 Stayman apples ripen later in the season, typically around early to mid-October. I knew I wouldn’t be in Roanoke or the surrounding area by the time these apples became available. I just knew there wasn’t a good local source of Stayman apples near me. Oh wait. There is. There is a perfectly good source in York, SC. My kid logic strikes again. 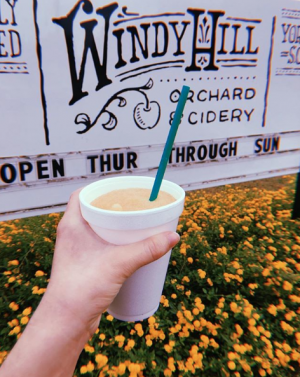 Windy Hill Orchard and Cider Mill has become a popular fall destination for those in the greater Charlotte area that want the apple experience without having to travel all the way to the mountains. They do it all there – they offer pick-your-own opportunities, jams, pies, ciders, you name it. Even hot, fresh apple cider donuts. So I just knew they wouldn’t have grow and sell Stayman apples there because they weren’t in Virginia. But I thought I’d ask anyways, as a long shot, just so I could say I covered my bases. And to my surprise, they do offer Staymens. Of all the apples they sell there at Windy Hill Orchard, 80% are Staymans. I may not be a kid anymore, but I still have a little bit of kid logic swirling in my brain. I couldn’t have been more wrong. And I couldn’t have been more excited for once that I was. This only means one thing. I’m staying young. At least in my brain, I am. It also means they won’t shipping me up to Virginia anytime soon. To learn more about Windy Hill Orchard and Cider Mill, visit them online at http://windyhillorchard.com/.